Brad Terrence Jordan was born on 9th November 1970 in Houston, Texas USA, however, he is best known to the world under the stage name, Scarface. He is a rapper and part of the rap group, “Ghetto Boys”. His successful career as a rapper contains the popular albums “Mr. Scarface is Back”, “The Diary” and “The Last of a Dying Breed”, which have gained him a few awards; one of them includes Lyricist of the Year in 2001 by Source Awards. His career in music has been active since 1988. Have you ever wondered how rich Scarface is? According to sources it is estimated that Scarface’s net worth is $500,000, an amount earned through his rapping career, although, Scarface has also succeeded when appearing on the big screen in such films as “Original Gangstas” (1996) and “Idiocracy” (2006), which also increased his net worth. Scarface attended Woodson Middle School, and then started his career as a musician as a DJ under the name Akshen, which was uttered just like action. As Akshen, he recorded a single called “Scarface” in 1989 for Troy`s Short Stop Records, a label which was centered in Houston. Following that release, he joined the rap group Ghetto Boys after one member left them. He managed to release an album through the group for the record label called Rap-a-Lot, “Grip it! On That Other Level” also in 1989. This album turned out to be a major commercial success, and acquired him a fan base, regardless of the violent lyrics of the songs and an MTV radio ban. After the album, he changed his name to Scarface, which he took from the 1983 Al Capone bio-pic film “Scarface”. In 1991 he released the first album under his new name, called “Mr. Scarface is Back”, which was extremely well received by public, his fame grew and eventually outshone the group, Ghetto Boys. Although his fame grew more and more with every solo album released, he stayed in the group. Needless is to say that his net worth was also boosted through the selling of the albums. All this peaked in 2001, when he received an award for Lyricist of the Year at Source Awards. It is also worth mentioning that Scarface became coordinator and president of Def Jam South recordings. During his career. Scarface has collaborated with other notable names of the rap scene, which includes Akon, Ludacris and Eminem. Overall, his career as a rapper contains more than ten album releases, the most recent one was called “Deeply Rooted” in 2015, although Scarface stated with his previous release, which was “Emeritus” in 2008, that it would be his last studio album. He was named as #10 greatest MC of our time by About.com. In an addition to his net worth, he released a book in 2015, “Diary of a Madman”, which depicts scenes from his childhood days until the Def Jam South days. Regarding his personal life, he was accused of anti-Semitism because of his statement during an interview in 2013, but these accusations soon fell apart. He has a son, Brad Jordan, with Melissa Lollis. One more thing to add about Scarface, he converted to Islam in 2007, before which he stated himself to be a Christian. 1 Scarface's hit single "Smile" (released in January 1997) featured fellow rapper 2Pac (Tupac Shakur) - it was Shakur's last song he recorded prior to his death. He and Scarface were close friends. 2 Subject of the song "Mr. Scarface" by Wesley Willis. 3 Nephew of Rodney Wilson. 4 Son of Oma Terry. 5 Childhood friend of New Black Panther Party member Quanell X (former member of the Nation of Islam). Quanell X had appeared in some of Scarface's music videos when his career began in 1991. 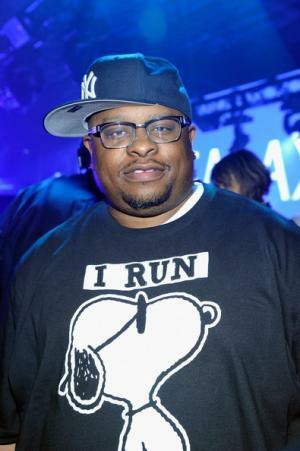 6 To this day, Scarface is the mos successful memberof the Geto Boys as a solo artist. His albums have either achieved gold or platinum status. His solo debut, "Mr. Scarface is Back," sold a half- million copies; the sophomore followup, "The World is Yours," went platinum. Later albums like "The Untouchable," "The Diary," My Homies," and "Last of a Dying Breed," featured MCs like Ice Cube and Tupac Shakur. 7 In June 2000, he was named the CEO of Def Jam South, and signed hip-hop star Ludacris. 8 After signing with Rap-A-Lot Records, Scarface (known as DJ Akshen in 1988 or 1989) was originally going to be a solo artist, until James A. Prince decided to have him, DJ Ready Red, and Willie D (who released his first album, "Controversy," in 1989), as the replacement members of the Geto Boys. The Ghetto Boys (before the spelling change in 1990) consisted of Johnny C, Jukebox, and Raheem. DJ Ready Red later joined the group, after one of the founders left early, and Bushwick Bill, at the time of the group's founding in 1987, was originally the group's stage dancer. It is believed that Jukebox, one of the original Ghetto Boys, was convicted of assault and sentenced to prison, which might have prompted Willie D, Scarface, DJ Ready Red, and Bushwick Bill to be the second incarnation of the Geto Boys. 12 Attended Willowridge High School (Houston, Texas) in late 1986 for a short time, before dropping out; he is associated with the Willowridge High School Class of 1990 since several classmates knew him via Missouri City Junior High when he attended between 1984-86. 13 Briefly attended Missouri City Junior High (Missouri City, Texas) from 1984-1986, and was once a member of the football team. My Baby's Daddy 2004 performer: "On My Block"
South Central 1992 lyrics: "Street Life" / music: "Street Life" / performer: "Street Life"